Chris has been begging me to knit him a sweater for years now. 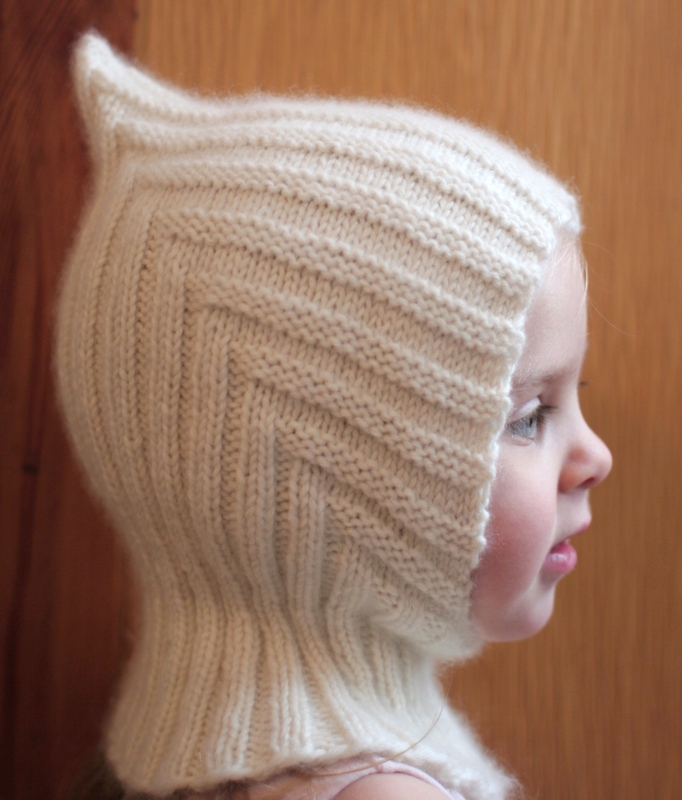 I am sure I will get to his sweater one of these days, but there are so many sweet knitting patterns for children to get through while our kids are still small…This is one of my favorites: The Lyalya Hoodie ABC Pattern. 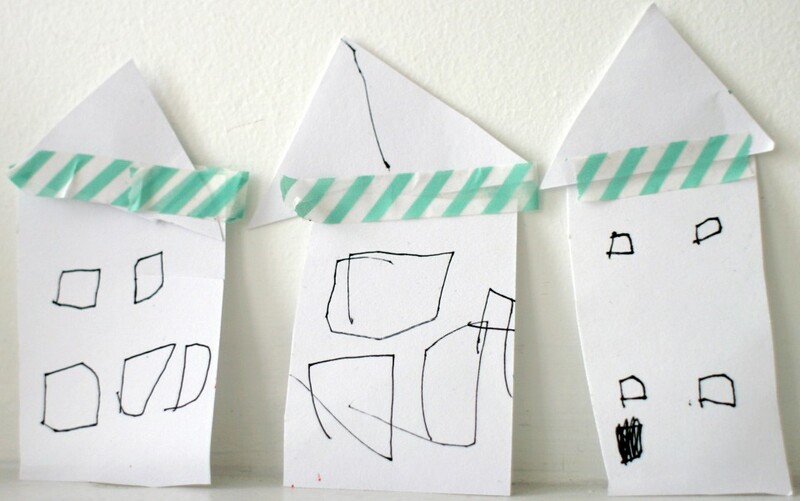 The pattern comes with directions for ages six months-adult. I knitted this one up in Brooklyn General Store’s cashmere. I splurge on this amazing yarn once in a while and it is the softest, most beautiful yarn I have ever knit. (Even the letter-pressesd label is gorgeous). I made Ada a couple of hats made from the yarn and they still look beautiful after years of use. 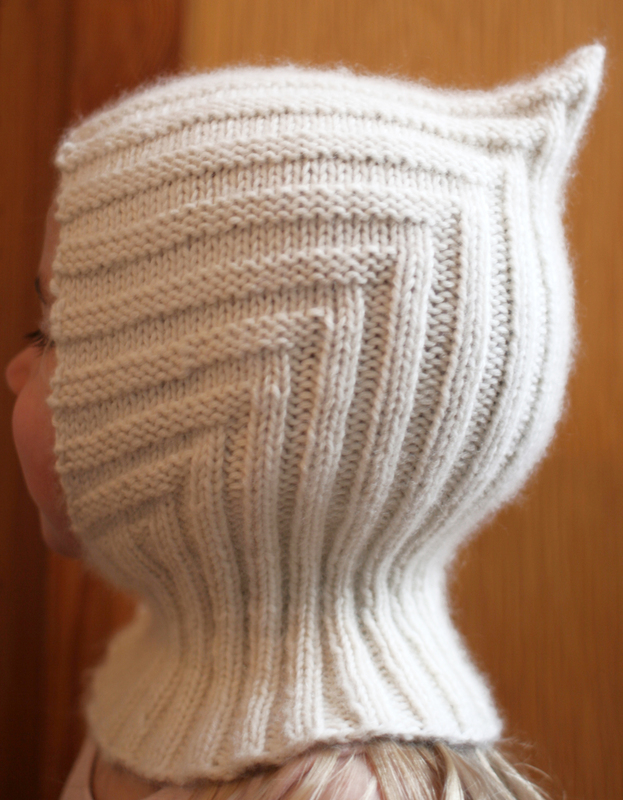 Lyalya’s pattern knits up quickly and it is fun to watch the ribs build as you go. 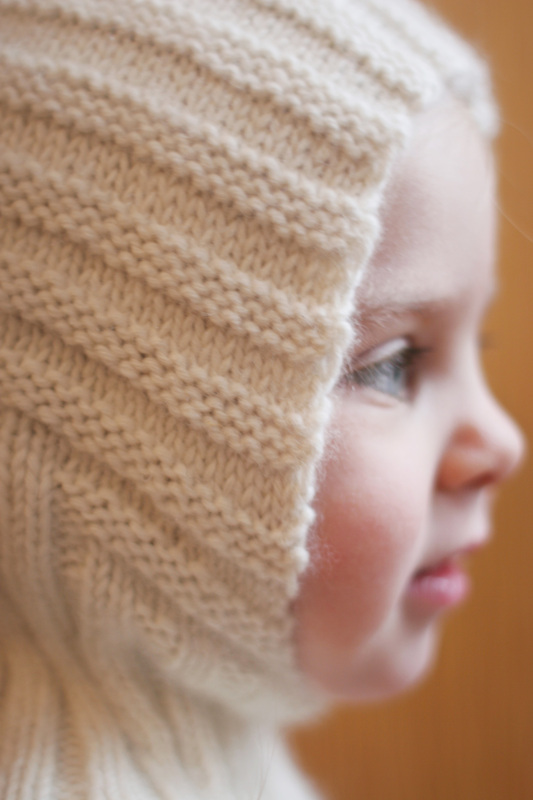 The result is a snuggly hat that does not require tying on to a wiggly three-year-old. 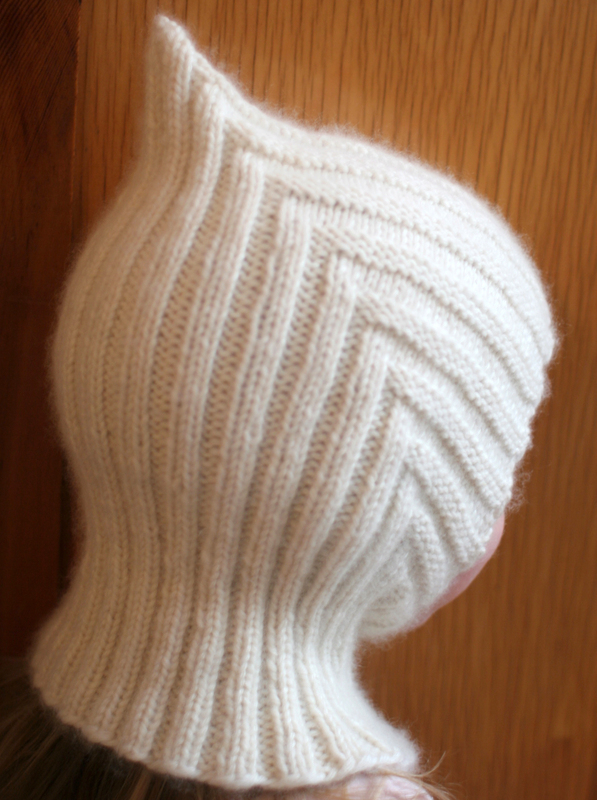 The cashmere is so soft that scratchy-hat whining is completely avoided.